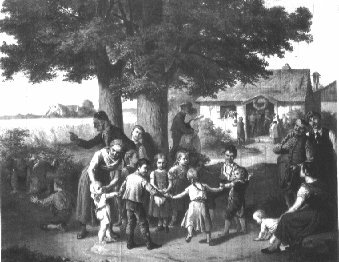 Villagely celebration Johann Anton was born at 29.03.1793 in Klosterfreiheit and has married 1815 in Altstadt (part of Ostritz today) Albertine Friederike Louise Zimmermann, the daughter of the engraver Friedrich Wilhelm Zimmermann from Breslau. He began 1811 his study at the Dresdner Kunstakademie (academy of arts in Dresden) under professor Matthaei. In the year 1818 he got the citizen-rights of Neustadt in Upper-Silesia. Soon after he went to Breslau and worked there for the painter and stoneprinter Johann David Grüson. 1822 he went to Prague, where he visited the Prager Kunstakademie for one year. He stayed in Prague and imparted also draw education in noble houses. His dexterity was the genre- and portrait-painting as also in the lithography. Here are also any works conserved. 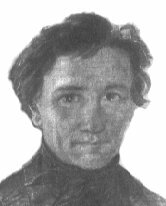 He died at 23.06.1863 in Prague in the age of 70 years and left behind, between others, the son Anton Gareis, who made hisself also a name as an art-painter. Here a short info in Czech language for Anton Gareis jr. .